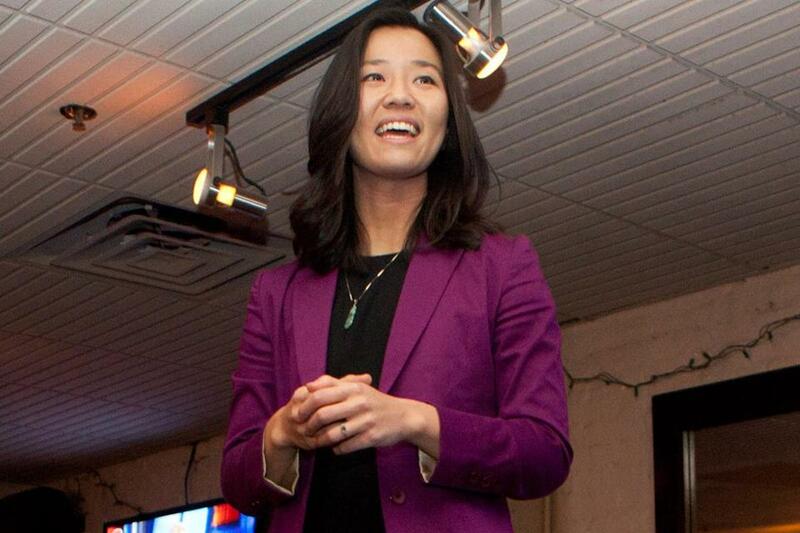 “Boston is a very antiquated city,’’ said Councilor at Large Michelle Wu, who is pushing to revamp the permitting and licensing process. If you want to break and can eggs in Boston, you will need a license from the city. You’ll also need one for fortune telling; hawking and peddling; and operating a jitney. City leaders say that in four-century-old Boston, requirements for permits and licenses have accumulated and gathered dust for so long that troves of them have long since ceased to have much meaning, such as a permit to hunt in the city or to keep a goat or cow. You get that one from the Board of Health and Hospitals, which no longer exists. Wu plans to take up the matter today when the City Council holds its weekly meeting. Her aim is to help small business owners. Wu said she wants to examine the legal structure of permitting and licensing, assess the way the process works, and analyze data to determine a better system for serving the public. “My goal is to streamline this from every angle,” Wu said. The licensing and permitting issue is getting special focus from Mayor Martin J. Walsh, who is taking a hard look at the process as part of his mission to make things easier for people who do business with the city, said his spokeswoman Kate Norton. She said the mayor will work with at least a dozen departments, including fire, parks, and animal control, to address the issue. Wu, who chairs the council’s small business committee, contends that many of the laws on the books were established at a different time in the city, when animals roamed and government restrictions tightened to ensure the public’s health and safety. Times changed, but many of those laws remained the same. According to the city’s municipal code, licenses are needed for innholders, jitneys, junk collections, and hawkers and peddlers. You’ll need one for owning a wagon and handcart. There is also something on the books called “common victualler’s license,” which dates back to the 1780s and is required for serving food. The name itself, harks back to a bygone era. “That term goes back pretty far in Boston history,’’ she said. For many residents trying to get permits at City Hall, antiquated requirements are just part of the problem. Many said their quest to meet city requirements sends them trekking from public health to inspectional services at 1010 Massachusetts Ave. to the licensing department in City Hall downtown. Throughout the campaign for November’s city elections, both Wu and Walsh heard from the public about the confusion, the slow pace of government, and the needless hurdles that stand in the way of opening a small business. The rules and myriad permits also seem endless, she and others say. For instance, to open a restaurant, business owners need not only a business plan, but patience. Prospective owners need a permit to serve food, a license to sell liquor, a building permit, a dairy permit. If they want to have television or radio, they need an entertainment permit. “It’s just silly,’’ mused one city official who asked that her name not be used because she is not authorized to speak.